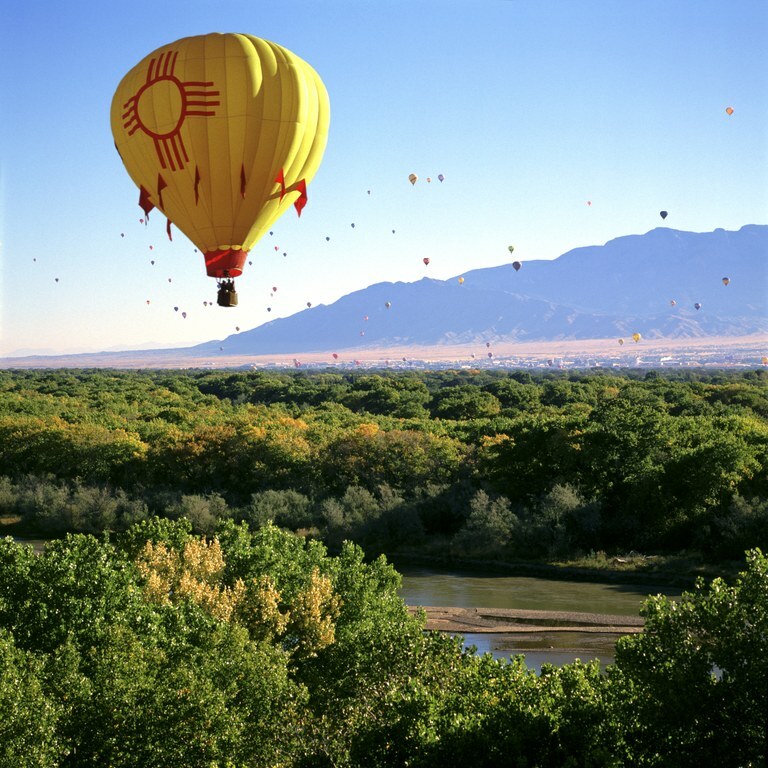 The Albuquerque International Balloon Fiesta Balloon Landing Task Force was established through Albuquerque City Council Resolution-18-19 that was adopted unanimously by the City Council and signed by the Mayor of Albuquerque. The mission of the task force is to review potential solutions to creating or acquiring additional balloon landing fields by preserving existing landing areas and/or increasing the inventory of available landing fields. The task force will be composed of community leaders with knowledge and background in both the issues that have created the dearth of landing areas and in processes and procedures that could provide a solution. As vacant land in the North Interstate-25 Corridor from Comanche/Griegos Roads to Alameda Boulevard is steadily infilled this eliminates landing spaces for balloons flying from the Balloon Fiesta Park. To account for the loss of landing areas the Board of the International Balloon Fiesta has reduced the number of balloons allowed to fly in the competition by nearly a half. As landing spaces continue to be lost through development, the operators of the International Balloon Fiesta may find it necessary to further reduce the number of balloons allowed to fly at the Fiesta, which would diminish its attraction as a massive gathering of hot air balloons. The City has acquired land for balloon landing fields at Osuna Boulevard and Vista Del Norte Drive, and though helpful these lands are not sufficient to fully address the need for landing space. Designation of City Facilities as temporary balloon landing fields during the fiesta. The task force shall be jointly supported by the Albuquerque International Balloon Fiesta and the City of Albuquerque Council Office, with support from the City of Albuquerque Parks Department, the City of Albuquerque Planning Department and other agencies willing to provide assistance.